Since the last few months, NASA has been making headlines with its “Curiosity Robot” which is currently busy exploring Mars as we speak. Well it seems that that’s not just the only reason why NASA is in the spotlight these days. Sources have revealed that a team from NASA’s Ames Research Center has been working hard at developing miniature satellites called the “PhoneSats” powered by, none other, than the OG Nexus One and Nexus S. NASA has spent the last few years putting these PhoneSats along with the devices used within to the test. Currently, the team has 2 nanosatellite prototypes that will be sent up into space at different times. To see if something like this is even possible, the first will consist of a Nexus One, external batteries, external radio beacon, all inside a 10x10x10cm hard casing shell. If the PhoneSat 1.0 is a success, the team will send up the PhoneSat 2.0 with the more powerful Nexus S inside and featuring a 2-way S-band radio, solar panels, and GPS receiver. Even though NASA haven’t announced an official date for their next big experimental launch, its expected to be conducted later this year or maybe early 2013. Each PhoneSat would cost approximately $3500 and with that said, NASA plans to send the “lowest-cost satellites ever flown into space,” aboard the Orbital Sciences Corporation’s Antares rocket. 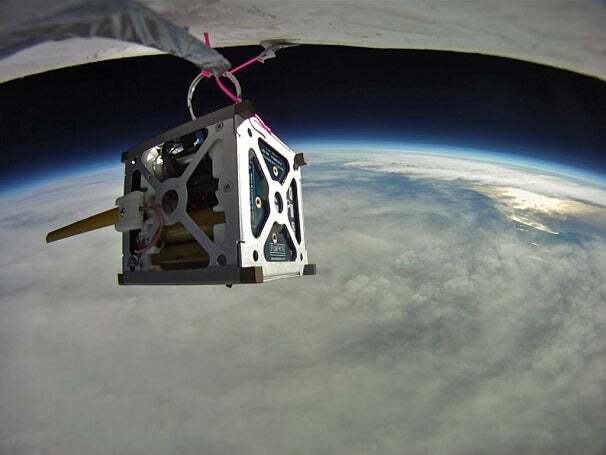 Furthermore, the team plans to use the PhoneSats in future missions involving moon exploration, low-cost Earth observations, and testing of new technologies and components for space flight. All in all this is one giant step taken by NASA in bringing Android Technology and its space programs to work hand-in-hand. Hats off to you guys !!! 3G is changing lives in Pakistan – For Better or for Worse?